A 15 day self-drive tour of New Zealand starting from Auckland in the North Island and ending up at the South Island's historic city of Christchurch. 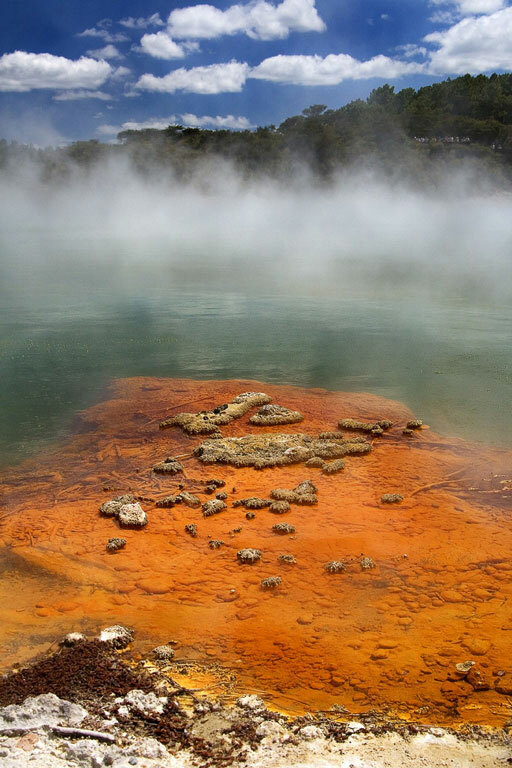 This morning, take a walk around Te Puia and see the mud pools and geysers and visit the Maori weaving school and Kiwi House. This is a chance to see the national nocturnal bird up close. The afternoon is free for leisure activities (we can book these in advance). 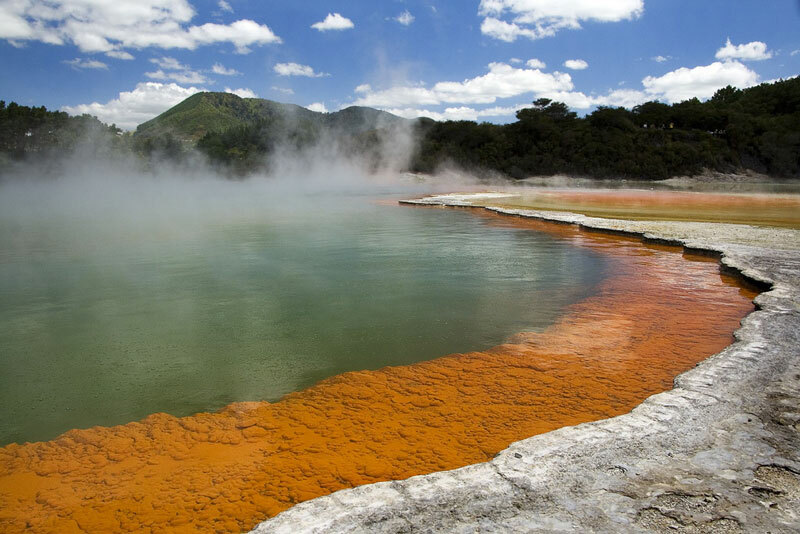 Options include: Rotorua Gondola and Luge, a trip to Rotorua Agrodome to experience zorbing or a walk through the redwood forest. Overnight Rotorua. Today, drive through the Southern Alps to Arthur's Pass. Drive past the Bealey River and lakes Pearson and Lyndon with the towering Alps above. In Arthur's Pass we will mark some of our favourite walking spots and points of interest on the map for you. Be sure to keep a look out overhead for the Kea (New Zealand’s native alpine parrot ). Driving further, you can stop in Hokitika to have a look at the jade factory where you can view up close how the local people carve necklaces and sculptures from the precious stone. This afternoon or early tomorrow morning you will have the option of a hike and a flight over the majestic Franz Josef Glacier, one of the only glaciers in the world to be flanked by rainforest on both sides (can be booked in advance). Overnight Franz Josef. This morning in and around Wanaka there are many options. For those feeling adventurous you can take a walk up one of our favourite look out spots featuring 360 degree views of Lake Wanaka, Aspiring National Park and the Clutha River. The breathtaking views are well worth the walk! Other options include a visit to Stuart Landsborough’s Puzzling World or a kayak tour on the lake. This afternoon your South Island tour takes you over The Crown Range (New Zealand’s highest highway) to Arrowtown which was one of New Zealand’s most important towns in the gold rush to Central Otago in the 1860s. Then a further 2 hours to Te Anau, on the shores of the South Island's largest lake and the gateway to Fiordland National Park. Overnight Te Anau. Today take the 20 minute drive to Manapouri Harbour for your day cruise through Doubtful Sound (or we can arrange bus transfers). 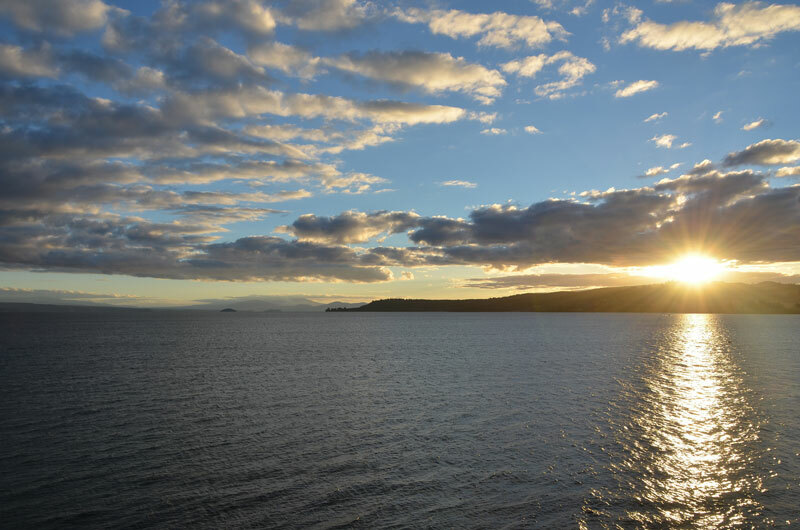 This spectacular journey starts with a cruise to the other side of Lake Manapouri, followed by a bus trip over a pass to the fjords followed by a magical afternoon cruising through the towering peaks and stunning waterfalls of Doubtful Sound. The trip also passes by the famous Manapouri power station. The boat returns to Manapouri at 4:45 in the afternoon and take the 20 minute drive back to Te Anau (or bus) and enjoy dinner with views of the second largest lake in New Zealand (Lake Te Anau). Overnight Te Anau. Today is free to explore Queenstown at leisure and take part in some of the fantastic activities that this ‘Adventure Capital of the World’ has to offer. Options for the adventurous include: skydiving, bungee jumping, jet boating, white water rafting and paragliding. If you feel like taking a more relaxed approach to the day, a cruise on an ancient steam ship or a walk through Queenstown’s Botanical Gardens are not to be missed (these can be booked by us in advance at reduced rates). Overnight Queenstown. You leave Central Otago today through the Kawarau Gorge and Cromwell. Make a stop en route and visit a local fruit shop and a chance to try ‘Real Fruit Ice Cream’ and sample a few of the New Zealand famous manuka honey products. From there cross the Lindis Pass (965m) to the Mackenzie Country, known for its Merino sheep and wool industry. Weather permitting you can take a short walk at the foot of Mount Cook- New Zealand’s highest mountain and take in its blissful surrounds. Late afternoon head through to Lake Tekapo and where your accommodation is situated near the waterfront. Overnight Tekapo. Today after dropping your rental car back you will be transferred to the airport for your onward arrangements.